Mr. Speaker is a voice for the voiceless. He takes input through his Almighty Mic, and broadcasts it through his bass-heavy brainpan. He’s powered by vibrational energy, so the more he can make noise, the more powerful he gets. 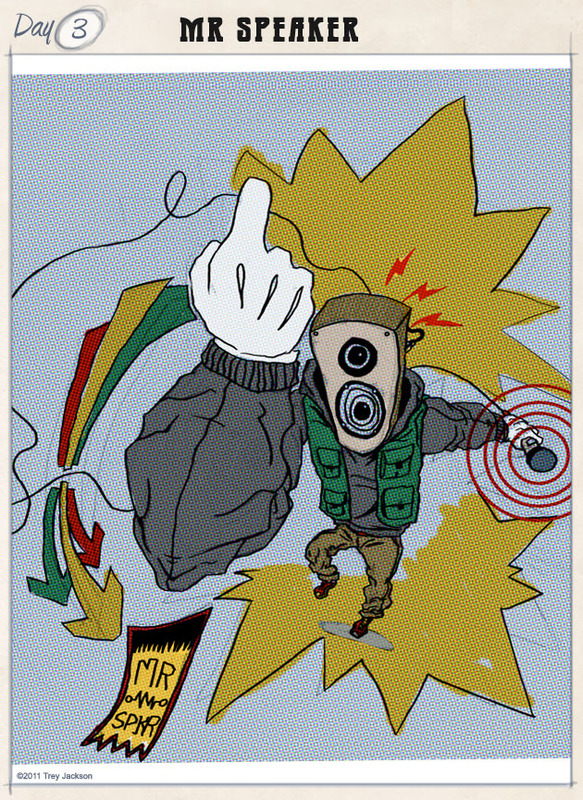 I like the halftone & foreshortening, not to mention the cool character you’ve created here.